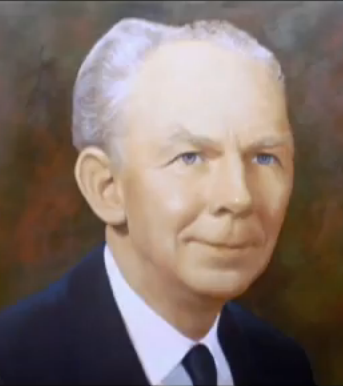 Born on November 11, 1904 in a small town in northern Utah, Ernest L. Norman made his debut into this planet Earth. It was apparent right from the first that he was an unusual child. His mother nearly died in the process of his introduction, because of the abnormally large head. It is said he had the body of an eight pound child, but weight over twelve pounds! Before he was hardly two, he was experimenting with writing and long before he went to school for the first time, he was quite familiar with the English language; so much so, he was reading his father's library. His father, incidentally, was a very learned man, of royal Norwegian descent and had degrees in law, psychology, physiology and phrenology. He was the fifth of eight boys and girls, all strong lads and lassies and it was quite natural for them to resent having a brother who was so studious. At the tender age of five he constructed his first microscope using the eyepiece section from his father's telescope, and by inserting it in a wooden frame made from a cigar box and a small piece of mirror, he was able to count the hairs on earthworms. At the age of six he performed an unusual and prodigious feat. 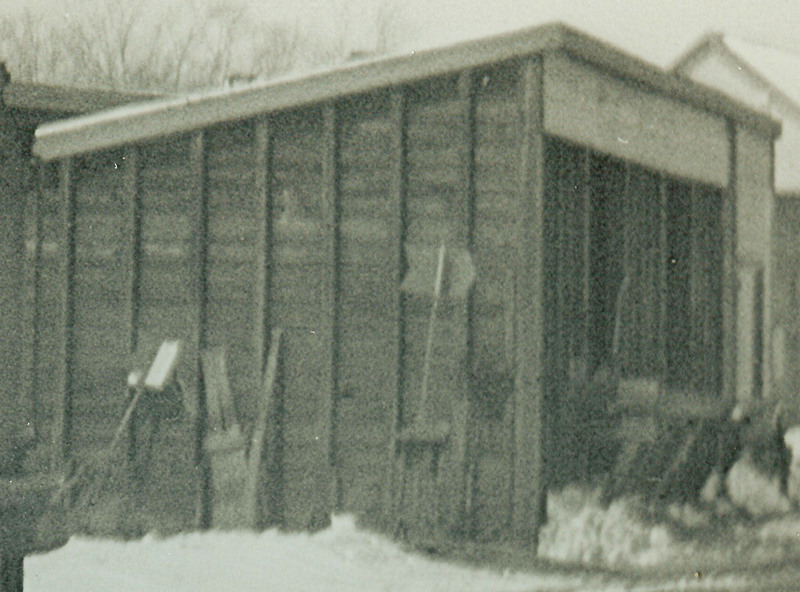 Using his knowledge of Archimedean laws of fulcrums, levers and rollers, he moved an 8 x 12 foot coal shed containing one-half a ton of coal over a distance of approximately 200 feet, through an apple orchard and over soft ground to a new and more convenient location. This feat took him about three weeks to accomplish and was one which would have taxed the strength and endurance of a strong man. This accomplishment was carefully noted day by day, by his father who would boastingly report the progress made to the townspeople. 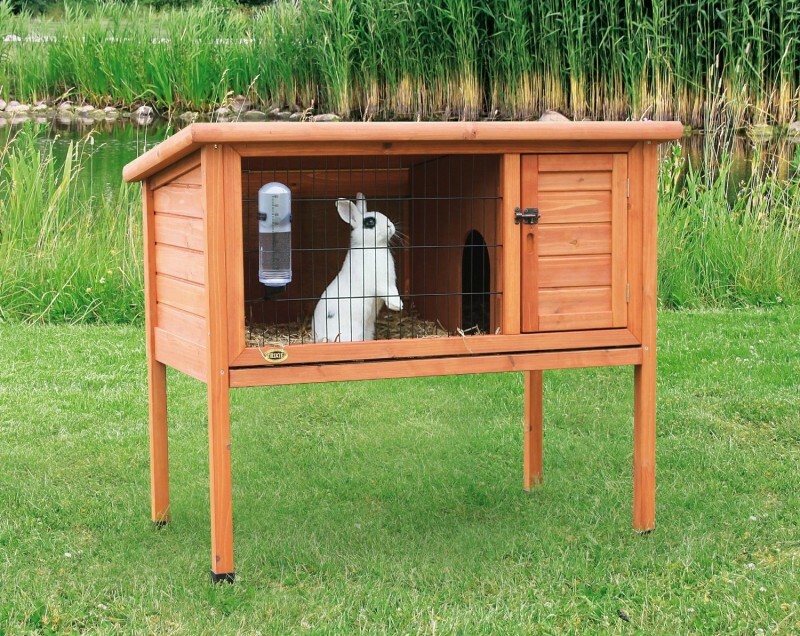 It was also at this early period of life, that he constructed a rabbit hutch which was vastly superior in design and workmanship to one constructed by an adult neighbor more than six times his age. This he did, using old rusted out, discarded tools. Another time, at the age of seven, he bested his father in an argument, i.e., that all energy was electronic. At present he is completely vindicated inasmuch as science today is resolving into this conclusion. During his early teen-age years in junior and senior high school, he established several new “high water” marks in biology, genetics, science, etc., and won several noteworthy citations as well as attracting some interest from his teachers. It is estimated that at the age of fourteen, he had a vocabulary of about sixty thousand words! It was easy to see then, that this boy, who in winter time read almost continuously or dreamed the summer away watching nature, had not wasted or played his time away as most lads are wont to do. At the age of seventeen, his family moved to California and temporarily, at least, formal school was finished. But he persisted, even taking night classes in various subjects. At the age of twenty-three, and just before the depression, he married and remained so for fourteen years, and fathered a child. During this time, he became very active in radio and electronics. It was his wife who always said they had the best radios in the neighborhood and they were always hand constructed. After World War Two, he devoted himself to his lifetime dream, metaphysics, and became an ordained minister in an occult science church. From the very start, in this work, it became evident he possessed an outstanding clairvoyant development and, during the war years, demonstrated this talent not only in churches and lecture halls, but in almost any place opportunity presented itself and achieved no small measure of fame in this capacity. However, it has been his ambition to fill in the gaps in our scientific and spiritual philosophies of the world, and to set up a new and integrated philosophy of life. With this most outstanding ability of clairvoyance, coupled with a tremendous grasp of scientific knowledge, he is very humble and unpretentious, refusing to attach the stigma of self to whatever comes through the channel of his mind and is ever aware of attunement with the Superconscious. On Ernest Norman’s forehead is a large welt, in a perfect raised circle. 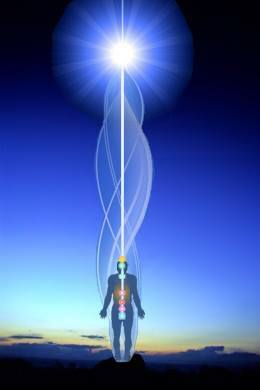 This became activated when he was inspired or attuned, as though it was a necessary factor in making contact, mentally, with the intelligences of other dimensions or on other planets. Another strange phenomenon were the nail holes in the palms of his hands, which appeared physically during a psychic working out with his previous life in Jerusalem and the crucifixion and are most surely points of great interest in showing that he is indeed a most unusual soul, mentally and spiritually and has reached a very rare, if ever duplicated, state of consciousness through his countless thousands of lifetimes of endeavor in these fields. Many very miraculous healings have come through Dr. Norman. His conscious mind was able to contact the Superconscious which can tune into the past experiences and past lives of the individuals to actually locate and view the experience in a former life which is responsible for the present illness; thus being able to eliminate or neutralize the impinging vortex from the psychic body of the individual by mental and spiritual means. Many wonderful healings and permanent cures have thusly been achieved. Before starting the grassroots work for Unarius, Ernest Norman worked for the Borderlands Sciences Research Association as a contributing editor for the Round Robin journal, and also worked as a minister for a Spiritualist church for 15 years. Ernest Norman wrote twenty books in his lifetime that covered theoretical physics, spirituality, philosophy, theology, extraterrestrial life, sociology, and poetry. Norman also authored articles further emphasizing interdimensional scientific principles, and answered letters from students. He is referred to as the Moderator or “Dr.” Norman by his students out of respect. A genius child prodigy, Ernest Norman never sought a doctorate through academia as he was self-taught and did not have formal schooling for many of the subjects he seemingly mastered, as he claimed his knowledge was due to his clairvoyant connection to the Masters and Higher Minds of the White Brotherhood. 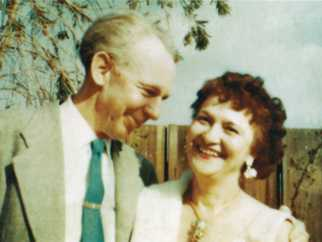 In February 1954 in Los Angeles, California Ernest Norman met Ruth E. Norman (1900–1993). They met at a spiritualist convention, where they say a clairvoyant noticed three white bearded men following Ernest Norman with massive books. Ernest and Ruth Norman claimed these were the spirits of Elisha, Ezra, and Enoch carrying the books that Ernest was going to write in his current lifetime. 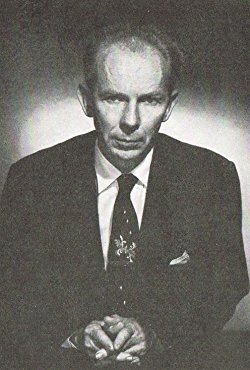 After their initial meeting at the convention, Ernest Norman “channeled” and wrote a book on poetry and prose called The Elysium (published in 1956), which would later be followed by its sequel, The Anthenium (published in 1964). With Ruth Norman's assistance, Ernest Norman gave a 12-week lecture in Los Angeles, California that became a book entitled “The Infinite Concept of Cosmic Creation” where he described in detail how energy functions, what he saw in the celestial worlds, psychic protection, and parapsychology. In this lecture, Ernest Norman stated that the people of planet Earth are being guided by a large fraternal brotherhood called Unarius, formerly known as Shamballah, and that any human being could make contact with these “Higher Beings” because everyone is capable of using psychic abilities. It was during this time he took on the moniker of the Unarius Moderator, or simply the Moderator. 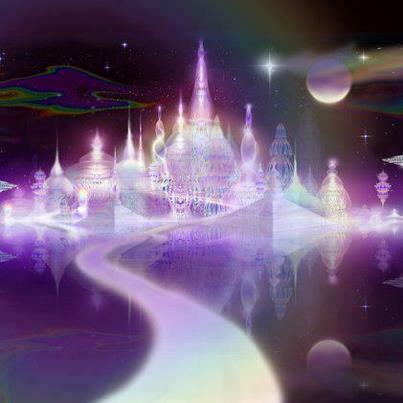 Ernest L. Norman transitioned into the higher worlds on December 6, 1971, leaving behind a wealth of spiritual and scientific knowledge for this and countless future generations to follow. Dr. Norman’s teachings in the form of ebooks, audio recordings, videos, and other publications are available at this Unarians United Community site under the tab “Dr. 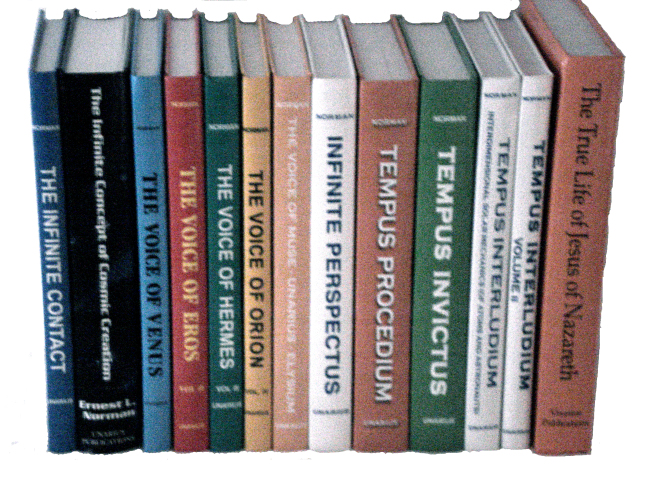 Ernest Norman’s Teachings.” Student discussions on their understanding of the Unarius science as well as lessons learned and past life realizations are also available on Journey and Reflection blogs.